How blockchain will be the future of web? Everyone is talking about cryptocurrency. Projects like Bitcoin and Ethereum have accumulated hundreds of millions of dollars in value. Every day new companies launch, trying to take advantage of the token economies. Actually, underlying all of that is blockchain technology. This technology combines cryptography and decentralized record keeping (also called "the public ledger") to create the first real concept of digital property. Among technologists, it's become The Next Big Thing, and unlike many previous trends, this one actually looks like it might live up to the hype. Just, not for its current use. The real revolution: Blockchain is a technology that allows people to create unique, specific assets online. This may not seem like anything in an era when everything from entertainment to shopping has moved online, but it's game-changing. It can't be copied or moved. It can't show up on a torrent site, and no one can get rich by just duplicating the file a thousand times. As a currency, this makes for an interesting project. For many other industries, it can change absolutely everything. Cryptocurrencies of all types make use of distributed ledger technology known as blockchain. Blockchains act as decentralized systems for recording and documenting transactions that take place involving a particular digital currency. Put simply, blockchain is a transaction ledger that maintains identical copies across each member computer within a network. 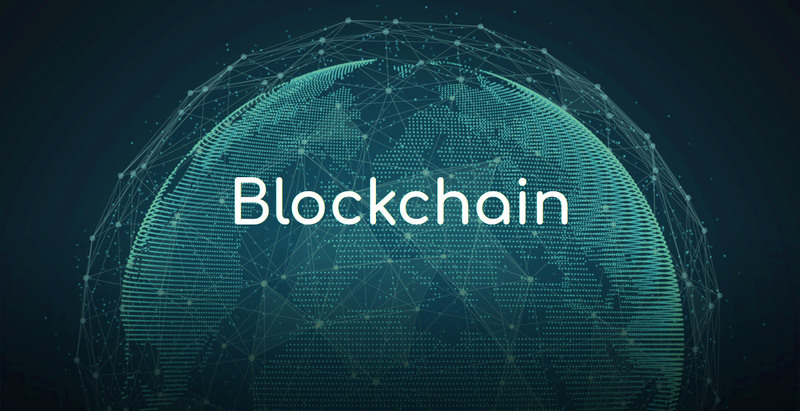 Blockchain is most famous for its role in facilitating the rise of digital currencies over the past several years, there are also many other non-cryptocurrency uses for this technology. Indeed, some blockchain proponents believe that the technology could far outpace cryptocurrencies themselves in terms of its overall impact and that the real potential of blockchain is only just now being discovered. As such, it's likely that financial advisors and many others in the investing world will encounter blockchain technology much more in the years to come, whether it is linked with a specific cryptocurrency or if it's being utilized in any number of other applications. Below, we'll explore some of the most exciting and popular use cases likely to bring blockchain further into the world of mainstream business and finance. How does the blockchain eliminate the risk of cyber-attacks? Well, the copy of blockchains is distributed among the users within the network. So, everyone in the node is working as a validator. If someone tries to tamper one copy, it will not sync with other ones. The other node will simply reject the unusual change. That’s how it safeguards against the cyber-attacks and hackers. In 2017, there were 16.7 million victims of identity theft. A major reason for this is that the internet has enabled and enhanced the fungibility of personal information. Online, no one can tell the difference between an old woman from Oklahoma and a young hacker from St. Petersburg. If someone wants to steal an identity, they have big, specific targets they can attack such as credit agencies, tax records, and retailers. This problem is exacerbated by the centralization of data. Blockchain can help solve that. The technology is built around a decentralized model, so there is no one server to hack for records. Instead, privacy experts are starting to envision a future in which individuals have a digital identity that's kept on a blockchain record. No one who doesn't have the key could unlock that record, preventing even the most ambitious identity thief from pretending to be someone else. As lawyers hate title searches. Any search of real estate ownership that goes back more than 10 or 20 years often means having to visit a public records building, in which massive books log who has owned each plat of land theoretically going back to the town's founding. Discovering who owns what is a tedious, awful process. Confirming that the record is accurate, without any mistakes or fraud, is even worse. For something as high-value as real estate, though, it's absolutely critical. Blockchain Is the solution for that. One of the most basic uses of blockchain technology is to keep a public ledger of transactions. The technology's core use is to record who owns what, and then to update in the case of a transfer. For property, then, this can create an automatically updated, unhackable record. No one has to flip through massive books, no one has to worry about the resulting lawsuit if a clerk 50 years ago made a mistake. The record is clear, consistent and easy to read. Blockchain has many potential uses for governments, but we'll focus on two at the moment: Voting and taxes. The IRS loses hundreds of millions of dollars per year to refund theft when someone steals a taxpayer's identity to file in their name and claim their refund. America continues to resist any kind of online voting system. Critics point to the major hacks of government systems as a reason not to embrace digital votes. The risk that someone could get in and switch an election, with no one ever the wiser, is simply too great. Blockchain technology could solve both of these problems altogether for the same reasons that it could help lock personal identities. A public ledger, secured with a unique key, could record each citizen's contact with the IRS. If the public ID doesn't say you filed your taxes, no one gets that refund. If it doesn't say you voted, no one gets your vote. The transfer of value has been both expensive and slow, especially for payments taking place across international borders. For instance, when multiple currencies are involved, the transfer process typically requires multiple banks in multiple locations before the intended recipient can actually collect his or her money. There are existing services to help facilitate this process in a faster way, but these tend to be quite expensive. Blockchain technology has the potential to provide a much faster and cheaper alternative payments methods. Indeed, while typical money remittance costs might be as high as 20% of the transfer amount, blockchain may allow for costs as low as 2%, as well as guaranteed and real-time transaction processing speeds. Blockchain has highlighted a critical aspect of the way data is going to work in the coming decades, and that is a world where data will be ever increasingly distributed. Any solutions for next-generation data problems must come to grips with this fact, and plan for a day where critical data is distributed among many geographies and even across on-premise and cloud data centers. Smart contracts are often seen as a highly powerful application of blockchain technology. These contracts are actually computer programs that can oversee all aspects of an agreement, from facilitation to execution. When conditions are met, smart contracts can be entirely self-executing and self-enforcing. For proponents of smart contracts, these tools provide a more secure, more automated alternative to traditional contract law, as well as an application that is faster and cheaper than traditional methods. Blockchain offers a tremendous level of security. Blockchain technology has already demonstrated the potential for transforming the way that online identity management takes place. The blockchain is a technology with an exceptionally broad set of potential uses. Although blockchain is most famous for its connections to the blossoming cryptocurrency world, several other applications have already been explored. Blockchain’s structure is built as a distributed ledger that ensures complete privacy and control of all data to all users. One of the areas of advancement in blockchain will be the standardization of interoperability among the different blockchains. While it is inevitable that there will be several blockchains with a specific business purpose, true benefits for the consumer or enterprise will be realized when they are able to "collaborate" in an open standard. Inflation and deflation of a bubble do not mean that an industry is not worthy. People get super excited only because they see huge potential in a product or service. In this inflation-deflation cycle, we shouldn't be surprised to see some dead potatoes. Cryptocurrency and blockchain have immense potential and we shall see it in coming years. Data stored by anyone in Blockchain Database is tamper proof. It's immutable. That is why individuals and enterprises have shown trust in Blockchain. In many scenarios, the Blockchain based trust is preferred in modern digital systems than the trust that Banks, Insurance Agents, Property Brokers and middleman provide. Many people consider the technology for autonomous vehicles not only to be perfected in test runs but also ready for the marketplace. Though legislation won’t allow driverless cars in any real way just yet, and one big reason is cyber-security. While changing your radio station is one thing, driving your car into a ditch is quite another. Digital advertising faces challenges such as domain fraud, bot traffic, lack of transparency and lengthy payment models. The issue is that incentives are not aligned, causing both advertisers and publishers to feel they are on the losing side of the deal. The blockchain is the solution to bring transparency to the supply chain because it inherently brings trust to a trustless environment. These are a great proof of concept for blockchain technology, but quite frankly, it is a few of the least interesting. Blockchain technology is truly quite amazing, and each day we are seeing new, innovative companies forming. You can share you comments in the comment section regarding blockchain technology. Thank you!